The Fizzy Grid will test your mental skills, then your physical skills, then both at the same time. Sometimes referred to as the “Well-Rounded Cacher” and the “81 Grid”, the Fizzy Grid requires you find a cache for each combination of difficulty and terrain. If you want to really go above and beyond, fill out a Fizzy for each cache type. Know of any D5/T5 caches? Popular in the United States, the Jasmer requires geocachers find one cache hidden each month since geocaching began in May 2000. 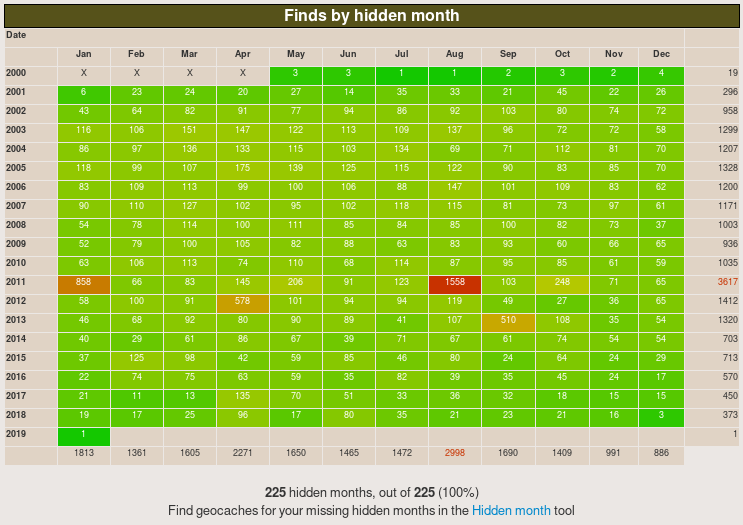 To give you a sense of the breadth of this challenge, there are less than 110 caches hidden in 2000 that are still active. Geocaching road trip, anyone? 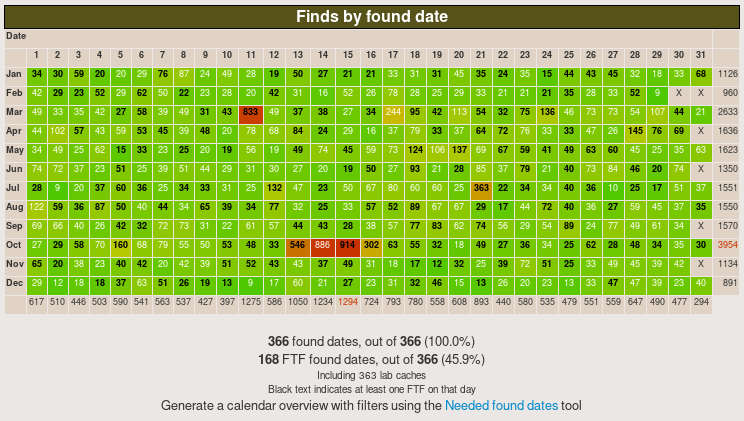 It shouldn’t be too difficult to figure this challenge out: find one cache for each calendar day of the year! That could mean a 365-day streak or a multitude of geocaching expeditions over several years. In case you’re wondering, the next Leap Day is February 29, 2020.